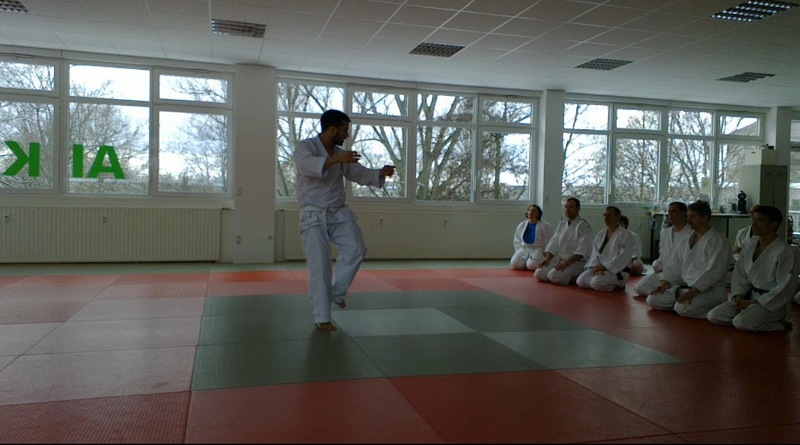 I had the great opportunity to attend Filip’s martial art seminar last weekend in Frankfurt, hosted by Thomas Mehl at Takeshin Dojo Frankfurt. 18 participants from 8 different dojos met on Sunday to discover and experience one year of Filip’s research in the field of martial arts and body movement. I like to picture Filip as a gardener who has planted many seeds in his home garden. Bio-diversity is the key word and the philosophy. Some of the seeds have grown to solid young trees, others into vigorous plants, some are still germinating in small pots. They all have one thing in common: Filip loves them and sees the life potential in all of them. Difficult task for the gardener to present the annual crop to a finicky group of guests, hungry for exotic new sensations and at the same time positively conservative in their taste. Instead of opting for the flashy presentation, the all-you-can eat style buffet, Filip gently peeled off the outer skins, layer after layer to reveal the core within, the inner substance, that which gives form to the outside. 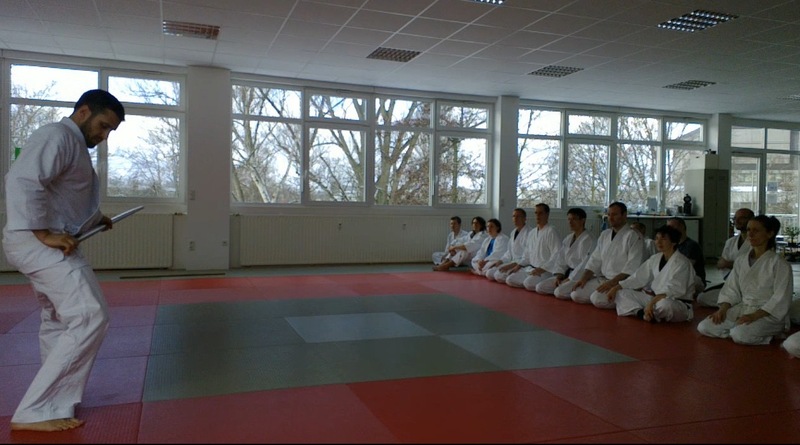 Starting with the Aunkai methodology, Filip firstly enable the participants to connect (Musubi) to their individual myoskeletal alignment, statically through stance exercises (Maho, Shiko, Tenchijin) then in motion (Shintaijuku). The individual research filled the room with silent concentration, punctuated now and then by an uttering – of self-reflection on meeting old acquaintances – or – of surprise on making contact with new ones. Curiously they all go by the same middle name: tension. 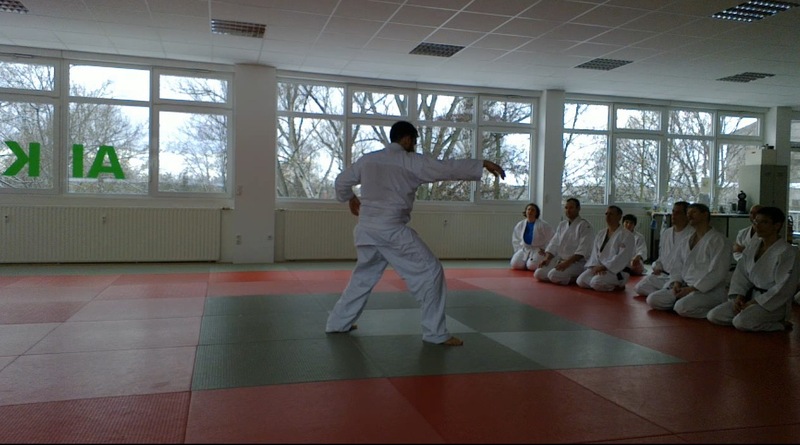 After an hour he had us move on to partner exercises (Maho and Go/Tuishou), where we made outer contact with or newly defined structures, with the possibility to test them and experience feed-back. The second part of the seminar was dedicated to connecting with tools – Japanese craftsmanship style – in this case the sword. Connecting with an inanimate object – in this case a Bokuto (a wooden sword which was once a living oak tree in Mother Nature’s backyard) – redefines our structures by adding a limb, shifting our center of gravity, extending our consciousness to the tip of the sword and beyond… If we let the tool do its job, it feeds us with precious information regarding our inner state of tension. 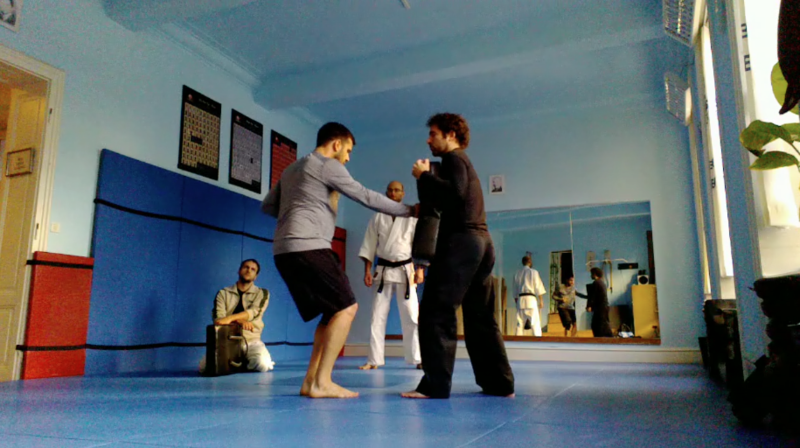 Here again Filip let us work solo and move into paired Katas, without emphasizing the outer aspect of how it should look like, more on encouraging us with the “how does it feel like?”. Are we able to use a tool and produce results without losing the integrity of our structure? The third and last part was dedicated to Aikido, the way of bringing animated structures to resonate with one another. By then the outcome of this gradual connection process was fully observable. On the basis of classical joint locks and projections, new movement patterns where appearing, individual bodies moving in unity and training partners resonating in a playful manner. Filip could then go from group to group, answering questions, giving a few exploration hints, and enjoying the feedback. Mission accomplished. From my own experience of giving seminars, I greatly appreciated Filip’s sweat-breaking work (and we all witnessed him sweating a lot that day! 🙂 ) to connect the dots between three Art forms, which when looked upon superficially differ greatly. Thus encouraging us to travel this world with eyes wide open in deep connection with ourselves.